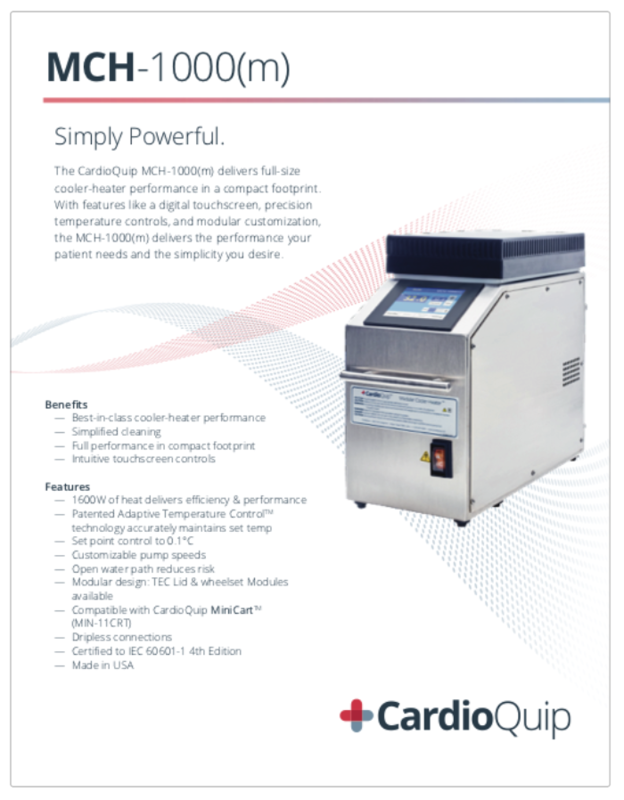 The CardioQuip MCH-1000(m) delivers full-size cooler-heater performance in a compact footprint. Featuring a digital touchscreen, precision temperature controls, and modular customization, the MCH-1000(m) delivers the performance your patient needs and the simplicity you desire. Patented Adaptive Temperature Control accurately maintains the set temps with minimal operator intervention. 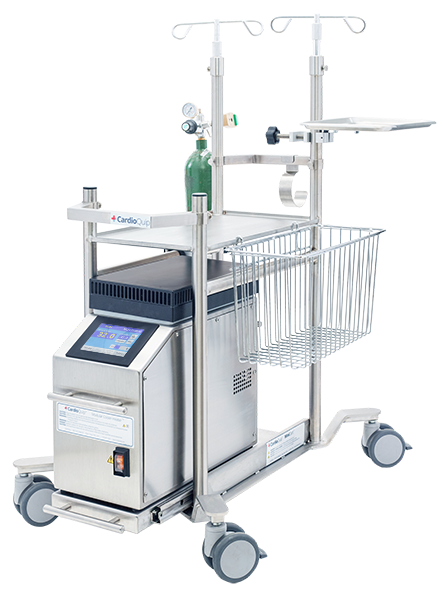 Modules and accessories include the optional Thermo-Electric Cooling Module which adds cooling ability and the all-new MiniCart, a stainless steel cart to transport your MCH-1000(m). An average patient at rest gives off about 100W of heat, so we designed the TEC Module to provide 100W of cooling to increase your cooling efficiency.